Should Ontarians be concerned about Premier Doug Ford recently invoking the Notwithstanding Clause to toss out court decisions ruling his laws are unconstitutional? 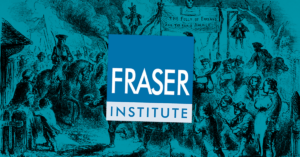 According to Fraser Institute fellow Philip Cross, not only is Ford’s abuse of power a “welcome” breath of fresh air, using the Notwithstanding Clause to ram through unconstitutional laws is also a good way for Canada’s wealthy elites to reassert their power over the people. The Notwithstanding Clause is a mechanism that allows provincial legislatures to override portions of the Constitution, although the original proponents of the clause thought it should only be used during emergencies or under extreme circumstances. 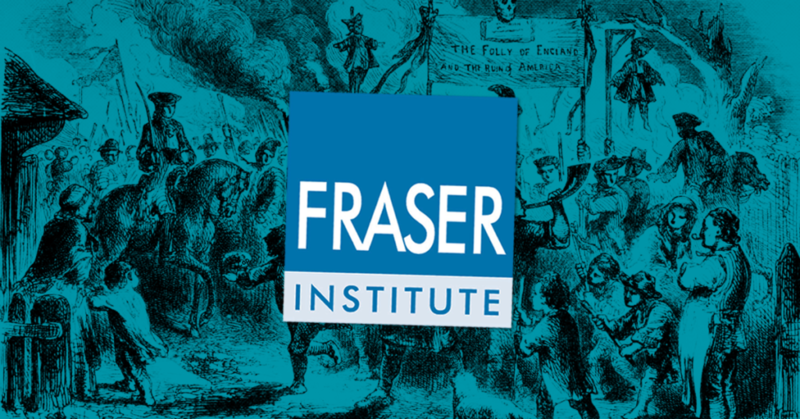 The Fraser Institute fellow imagines wealthy elites rising, invoking the “Boston Tea Party” and the “American Revolution” as examples of resistance similar to the “arbitrary abuse of power” by Canadian courts. Cross dismisses this as “judicial activism,” another way of saying: adhering to the rights guaranteed by the Constitution and the rule of law. In other words, the Fraser Institute fellow not only has an issue when courts side with environmentalists over business interests, he also has an issue with the public democratically electing officials who support environmentally-friendly policies. Since the adoption of the Charter, the courts have acted as a check-and-balance against powerful groups trying to assert their interests in the public square, such as social conservative groups attempting to restrict the rights of Canadians. 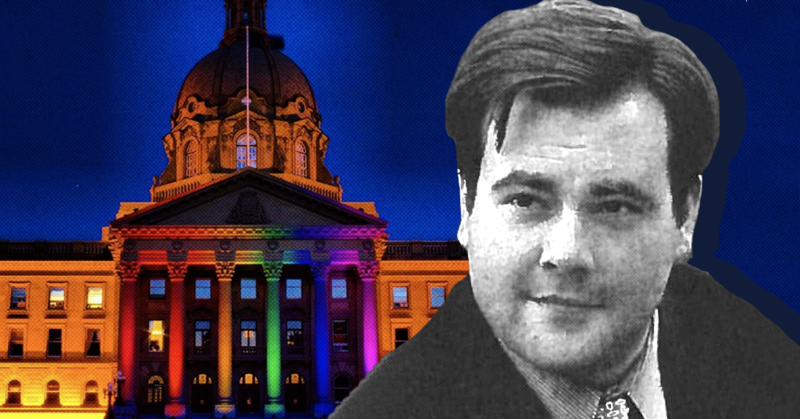 Jason Kenney once advocated using the notwithstanding clause to make it legal to discriminate against gays and lesbians in Alberta. 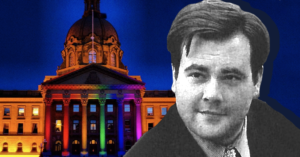 With the notwithstanding clause back in the news thanks to Ontario Premier Doug Ford’s attempt to override the Constitution to rig Toronto’s municipal elections, LGBTQ Albertans might have another reason to be on edge about Jason Kenney’s campaign to become Premier of Alberta.